I noticed the other day as I picked you up from high school that several of your schoolmates—guys and girls—were sporting all shapes and sizes and colors of tattoos on various parts of their bodies. Now, whether these were the permanent kind or not I haven’t a clue, but something tells me that at least some of the pigmented Picassos were of the needle and pain variety. But anyway. 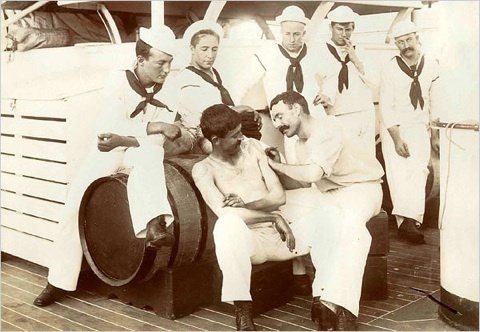 In my day (I know, your favorite three words), but in my day, people with tattoos were chiefly hardened criminals, old sailors, and motorcycle gang types. And the tattoos were simple and simply placed. You had about three tattoos to choose from back then: a name (mostly Mom), a battleship, or a mermaid. They were one, two colors max—and they went on the guy’s bicep. Women were not allowed to have tattoos then. The women who did have them were considered of dubious virtue. Girls, I know times have changed. I understand that tattoos now adorn the bods of everyone from athletes to bankers to moms in the grocery store. Heck, viewing any football or basketball game today is like watching a prison riot in my book (see duddy, comma, fuddy above). I read recently that no less than 21 percent of adult Americans now have a tattoo. Twenty-one percent. That’s about one in five, if I remember my trigonometry. So I guess the reason I’m writing you, my precious offspring, is to say I understand if you are considering staining your skin—permanently—because your pals are doing it. Just a few notes to consider, however, while you’re pondering, OK? First off, do you know where I read that 21 percent figure I quoted you? On the U.S. Centers for Disease Control and Prevention web site, that’s where. Do you also know that licensed tattoo artists are supposed to have bloodborne pathogen training because of the risk of spreading disease, AND that the Red Cross prohibits a person who has received a tattoo from donating blood for 12 months unless the procedure was done in a state-regulated and licensed studio using sterile techniques? Hmm? Also, there are no federal regulations regarding tattoo parlors, and believe it or not, not all ink places abide by state regs. Now, say you change your mind about that beloved ink blot later in life. It’s true, girls. You may have regrets down the road about toting Justin Bieber’s face and mop of hair on your backside for the rest of your days. I read that several physicians who specialize in tattoo removal estimate that about 50 percent of people who get inked later want one or more tattoos removed. 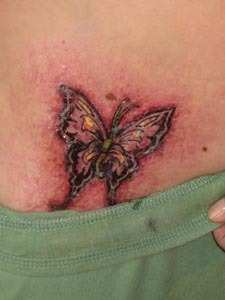 They do have laser removal these days, a procedure that folks liken unto getting their skin splattered with hot bacon grease for several hours, but if the tattoo is extensive, sometimes removal requires sanding down the skin to remove layers, cryosurgery, or even excision, in which a surgeon goes in with a scalpel and closes the wound with stitches. 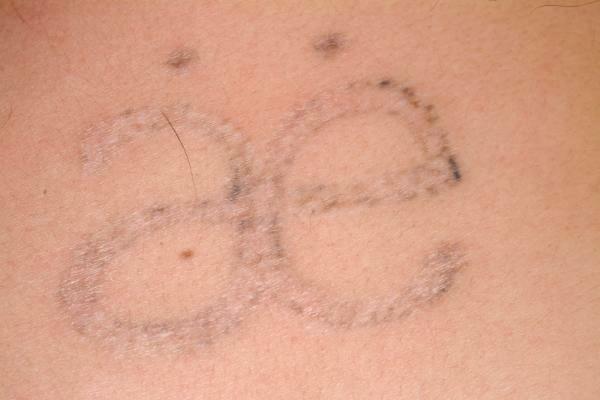 Larger tattoo removal may require skin grafts. Yes, skin grafts. Just some things to think about, girls. I’ll have body piercing info for you in my next letter. Thank you for reminding me why I never want to get a tattoo. 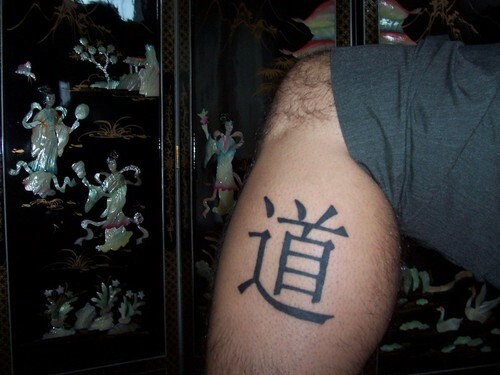 That said, if I DID ever change my mind – I’d get one of those asian symbols that read “egg fried rice” – yum. I am 37, and yes I was a stupid 19 yr old girl who got a tat around her entire rt ankle(no skulls,dolphins). I thought I could hide it from my father, a man that went to catholic boarding school. I will never forget the look on his face anger in his eyes when he saw it. I dont think I walked straight for a week after that, and yes I desereved. Now working in the corp world it is not attractive when I wear skirts and I try to hide it horribly with make up. Hind sight is 20/20,when your 19 your just plain old stupid, you have no business making that kind of decision at that age. And by the time your my age you just look at it with distane and regret.But what do I tell my son when hes in high school,back in my day, thats a tough one?